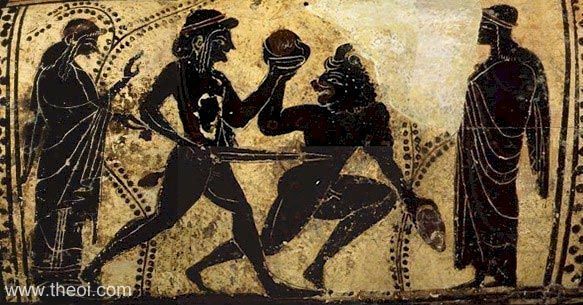 Theseus battles the bull-headed Minotaur. The hero brandishes a sword and the beast a pair of stones. The combatants are flanked by a sacrificial youth and maiden.